Friday, February 15th from 6:30 to 8:30pm. Only 18 tickets available so get yours soon! 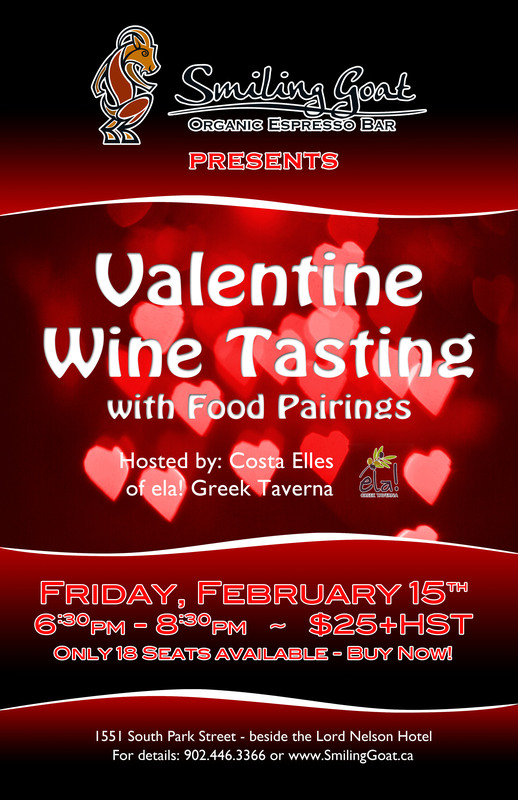 This entry was posted on February 7, 2013 at 2:52 pm and is filed under Announcements, Events with tags ela greek taverna, food pairings, Smiling Goat, valentine wine tasting, wine. You can follow any responses to this entry through the RSS 2.0 feed. You can leave a response, or trackback from your own site. Tickets wil be available tomorrow, Friday 8th starting at noon.